This is Bear! He was bare. Now he's wearing ... purple hair? His favourite thing is playing tricks. He makes trouble just for kicks! Check out Bear before he's gone. Rhyme along - come on! This week, to celebrate the publication of the hilarious I Am Bear by Ben Bailey-Smith and Sav Akyüz, we are hosting a 5 day I Am Bear blog tour with five of our favourite bloggers. Pop along over to the blogs below and see what they think of the book, plus look out for giveaways, activities and expect plenty of mischief with this cheeky, purple trickster! Check out the videos below to rap along with Bear and go behind the scenes with the makers, Ben and Sav! 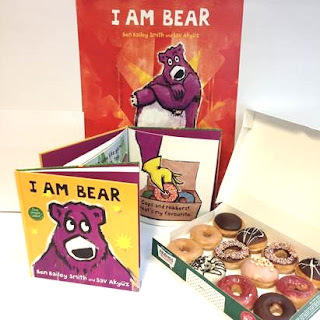 Here at Walker HQ we couldn't think of a better way to celebrate the launch of I Am Bear than by tucking into a cheeky box of delicious doughnuts (Bear's favourite!). And we got some for you too! We have a Krispy Kreme gift card to give away with an I Am Bear goody bag, including a copy of the book, a poster, stickers and activities. Three runners up will get an I Am Bear poster. To enter, just email competitions@walker.co.uk with 'Doughnuts' in the subject line before 29th February. Terms and conditions apply. 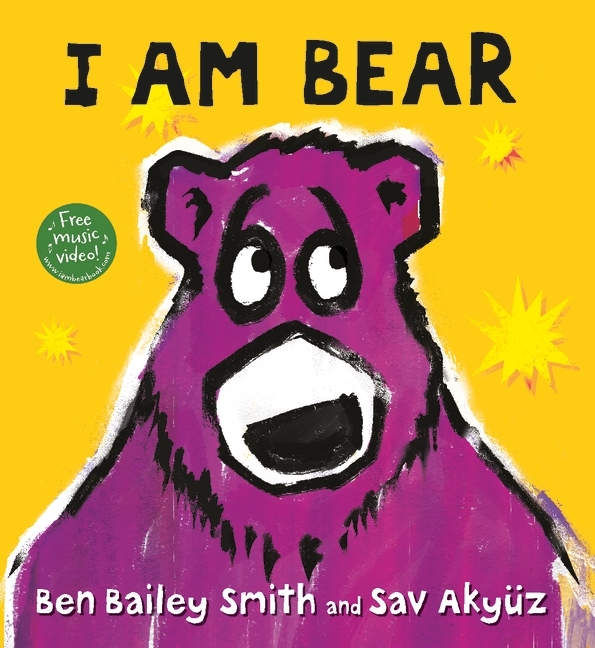 Join in the fun and download these free I Am Bear activity sheets and pick up a copy of I Am Bear at your local bookshop.